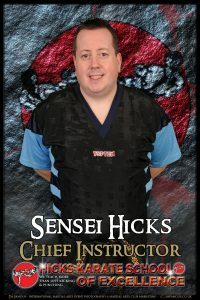 Sensei Hicks began his martial arts training just over 30 years ago in the art of Lau Gar Kung Fu and Freestyle Karate. Straight away he knew he wanted to teach, helping assist his instructor in the children’s classes as well as training 3 nights a week and competing on the national martial art competition circuit, where he has reached world champion status on many occasions. As a Instructor he is among one of the best in the country, with a great back ground knowledge in many martial arts including Tang Soo Do, Kickboxing, Kung Fu and Karate as well of a amazing connection with children and adults alike. Previous world titles include BBI World Champions, Judgement Day World Champion and most Recent WFMC 2017 World Champions and Sensei Also hold many British and National Titles. 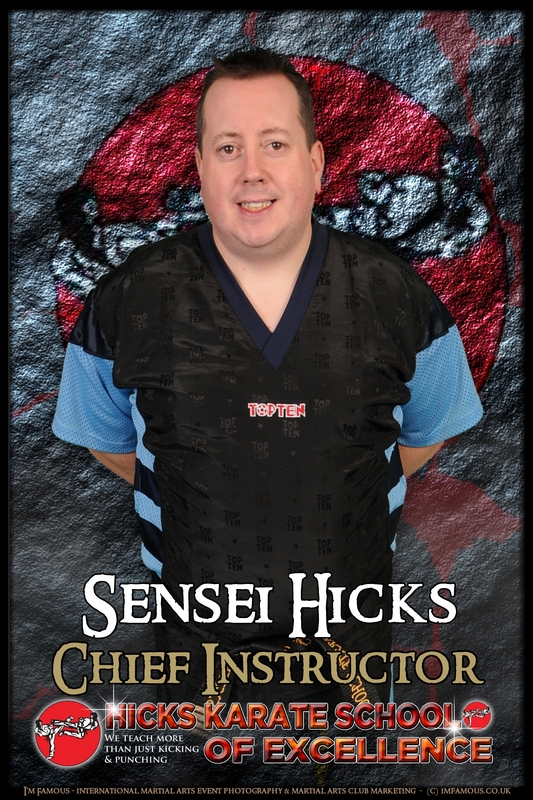 Currently graded to 5th degree black belt (Master) Sensei Hicks continues to learn new skills, teaching motivating and innovated martial arts classes. He is also the owner and chief instructor of Hicks Karate School of Excellence.